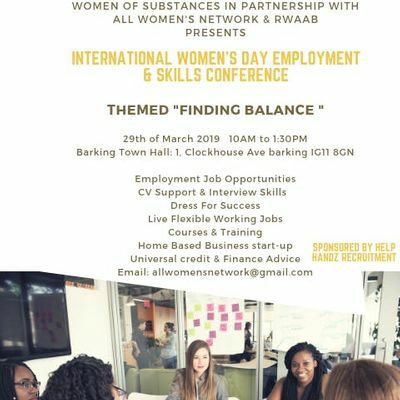 To celebrate International Women's day, "All Women's Network" have partnered with Women of Substance, RAAWB & Help Handz to support women into employment & start Home based business. Job Opportunities are also available for men too. 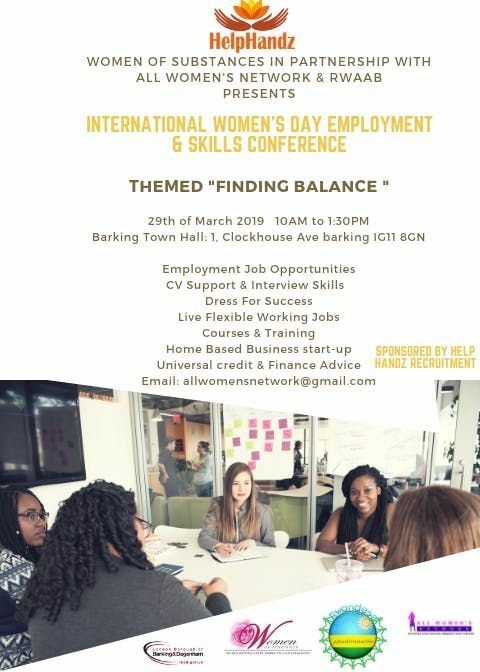 ▶️Are you looking for a New Job or gain New skills? ▶️ Are you struggling to find work after having your children? ▶️ Are you lacking confidence & self esteem? ▶️ Want to find out about Universal credit or self employment or managing your finances?